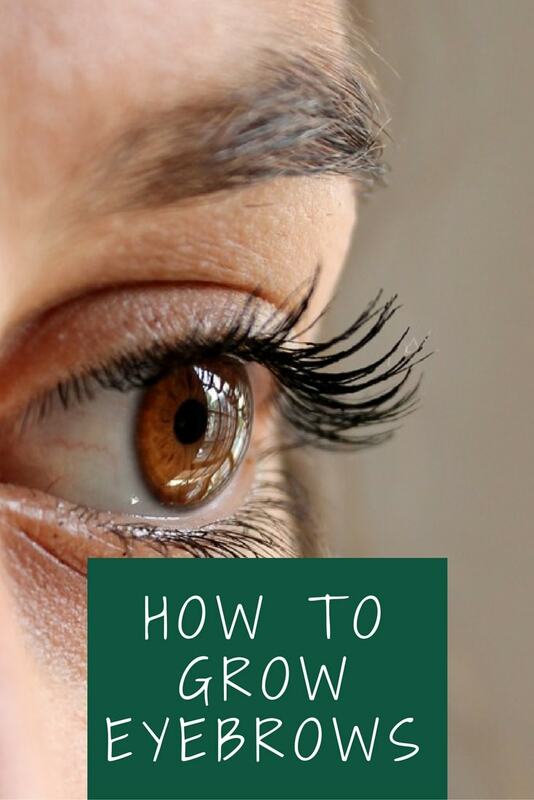 How to Grow Eyebrows? : Thin, scanty eyebrows are no longer in demand. The reason? We don’t know. But if you ask us for a hunch, we’ll say it’s the influence of the west. With Hollywood divas such as Cara Delevingne and Hailee Steinfeld sporting thick bold eyebrows, the fad is starting to catch on closer to home. It’s quite often that we find ourselves in the midst of over plucked or out of shape eyebrows. But now, growing your eyebrows is fairly simple with the help of these home remedies. Place a few drops of coconut oil on a cotton swab and apply it to the brow area. Massage the area gently for a few minutes so as to boost circulation. In the morning, wash it off with lukewarm water and cleanse your face as usual. Repeat this process everyday for about 2 months and you’ll notice a change in the thickness of your eyebrows. The best thing about this remedy is that coconut oil is readily available in most homes. Also, if you generally enjoy the sweet smell of coconut, this remedy might just help you sleep better. Massage the oil on your eyebrow for about five minutes. Follow this remedy once everyday till you get the desired results. Clean off all makeup with a makeup remover. Use a cotton swab to apply the Vaseline to your brows upwards. Apply this twice daily. The petrolatum compound present in the Vaseline helps to lock in the moisture, keeping the skin nourished. This is a sure fire winner to grow those brows of yours thicker and fuller. Grind an onion and extract its juice. Massage it onto your eyebrows for about five minutes. Allow it to dry and cleanse your face as usual afterwards. Follow this up once everyday for several weeks. The slight downside to this remedy would be the pungent smell that comes with it. If you can’t bear the stench, then you can opt for any other remedies. Break an egg and separate the yolk. Beat the yolk until you get a creamy thick consistency. Apply this to your brow with a cotton swab. Leave it on for 15 minutes or so. You can discontinue this treatment once you are satisfied with the end results. Remove any traces of makeup from your face. Dip a cotton swab into castor oil. Apply it to the eyebrow area. Gently massage your eyebrows for about three minutes or so. Wash off in the morning with lukewarm water. To stimulate growth quickly, with an improved length and thickness, turn to castor oil. This remedy can also be used with glycerin and is a great way to welcome back naturally thick eyebrows. Simply proceed to rub a slice of lemon all over your eyebrows. Leave the juice on for about 15 minutes and then rinse off with warm water. Follow this remedy once a day, and in a few weeks time, you are sure to see the difference. Pour a small amount of milk into a bowl. Dip a cotton swab into it and rub it all over your eyebrows. Allow this to dry and rinse it with warm water. Must read : How To Treat Hair Loss And Baldness? Massage it onto your eyebrows. For at least 6 weeks, continue this remedy daily. You will be in the midst of bushier, thicker and fuller eyebrows. Improving your diet is one of the best ways to enhance the growth of your hair. Consume foods rich in Vitamins A, C, and E. You can also include protein -rich food such as cheese, tofu and yogurt in your daily diet. A balanced diet will not just nourish your hair, but also prevent your body of complications and illness. Must read : How to Use Apple Cider Vinegar for Hair? Scanty eyebrows no more! Welcome your newfound brow in just a few weeks after regularly following up with these remedies, most of which are available readily to you. No longer do you have to succumb to thin, out of shape eyebrows.